Every so often, we think it’s a good idea to have a heating and cooling technician come out and inspect our furnace and air conditioning to make sure everything is working as it should. The main reason we do this? Safety. The secondary reason? Efficiency. Both are important reasons for having annual heating and cooling inspections done by a professional. So why don’t we feel the same way about electrical inspections? The U.S. Consumer Product Safety Commission (CPSC) reports that electrical receptacles are involved in 5,300 fires every year, causing 40 deaths and more than 100 consumer injuries. That is an eye-opening stat. But safety isn’t the only reason to get an annual electrical inspection. Here are some other reasons why an annual inspection is important. The numbers don’t lie. Outdated wiring and electrical systems and fixtures are to blame for many fires every year in the U.S. Having an annual maintenance inspection allows your electrician to make sure all wiring, power sources, and outlets are up to date. #2 – Check your adherence. Did you know that electrical codes change every three years on average? Within that brief window, the fixtures in your home may fall out of compliance and be deemed unsafe. It is always a good idea to make sure that all your appliances and fixtures remain up to the most recent codes. #3 – Keep your appliances safe. You spend good money on your appliances, and it would be a shame to have them ruined because of an avoidable electrical problem. When your fixtures are outdated, and power sources have become faulty, your appliances and electronics can be at risk. That’s why it’s important to schedule annual maintenance inspections to avoid such disaster. Blue Collar Electricians is always available to come out and perform a home inspection. Our team knows just what to look for in homes old or new. Don’t wait until you have an issue. 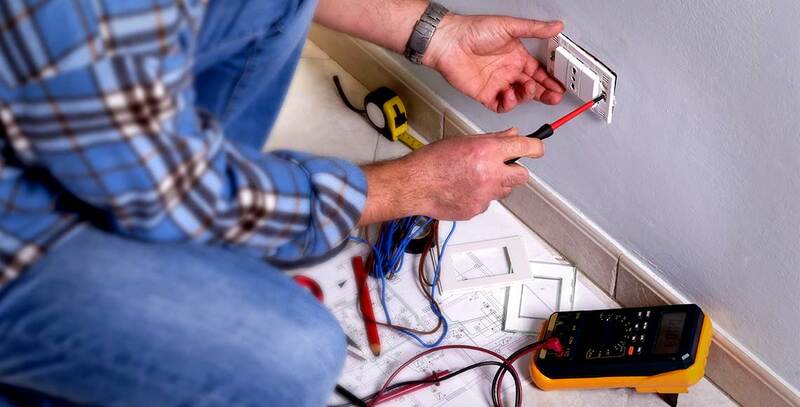 Schedule an electrical inspection from Blue Collar Electricians today.